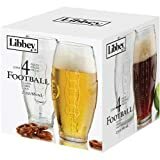 Beer goes down much better during the big game when you drink from these cool new Football Tumbler Beer Glasses. 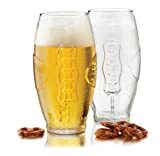 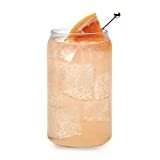 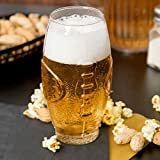 This set of 4 football-shaped tumblers each hold 23 oz of your favorite gametime brew and are crafted from glass with embossed pigskin features like laces for a great grip. 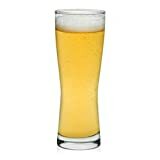 As exciting as these glasses are, please don't spike them in your living room when your team scores a touchdown.